Life insurance is an incredibly valuable financial asset that can provide you and your family with a sense of long-term financial security. However, if you are like most people, you are likely looking for as many different ways to save on life insurance as you possibly can. While some life insurance policies may seem overwhelmingly expensive at first, with a proper understanding of the industry as a whole, you can easily work a quality life insurance policy into your monthly budget. Fortunately, there are several time-tested strategies that make it possible for you to drastically reduce the cost of having life insurance. Finding these savings may require a bit of time and effort, but will undeniably be worth it in the end. In this post, we will briefly discuss some of the best known ways to save on life insurance and also discuss some strategies you may be overlooking. Contrary to what you may initially assume, there are likely major savings opportunities well within your reach. Why is it important to try to save on life insurance? Contrary to other common types of insurance—car insurance, health insurance, etc.—life insurance should be viewed as a component of your greater financial portfolio, rather than something you have simply purchased for protection. This means that the actual value of a life insurance policy should be viewed using a rational cost-benefit framework. For each dollar you are paying into a life insurance policy each month, you should consider the level of benefits you are receiving in return. Doing a cost benefit analysis of a life insurance policy is actually quite easy. For most policies the benefits will be clearly laid out and referred to as death benefits. If you purchase a permanent life insurance policy, there may also be an attachable cash value that should be accounted for as well. The cost of the policy will be referred to as your monthly premium. In order to make sure that you are getting the best value life insurance policy that you possibly can, you should consistently be looking for ways to increase death benefits or decrease monthly premiums. Policies that allow you to easily do both at once will likely be ideal. 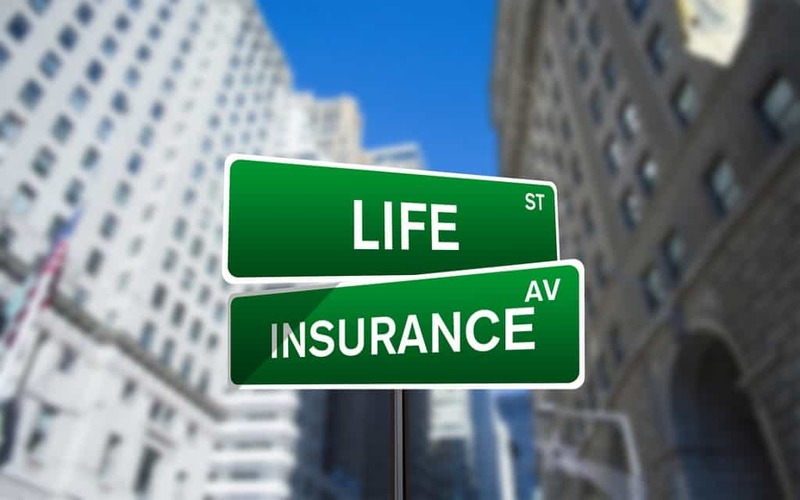 Determining the cost of a life insurance policy—which is a process that is frequently referred to as underwriting—is rather complex and will usually involve many different moving pieces. Every life insurance policy will have a unique underwriting process and the policy that makes sense for your neighbor may not necessarily be the policy that makes the most sense for you. By taking the time to compare many different life insurance providers, you can have a better understanding of which policies work within your budget and which ones do not. You may be surprised just how much of a difference between companies there actually is. Once you have taken the time to view the industry as a comprehensive whole, you will be in a much better position to make your final decision. While taking the time to compare the costs of multiple different life insurance providers and policies will certainly pay off in the long-run, there are certain approaches to comparison shopping that make much more sense than others. There are multiple benefits of choosing to work with an independent agent, rather than window shopping and speaking with agents who are committed to one specific company. Not only are you much more likely to receive advice that is actually objective, but you will also be able to save a significant amount of time. Once you have disclosed your health, age, and other relevant factors, the cost of a specific policy is usually quite predictable. As stated, there are many different variables influencing the cost of a given life insurance policy. Though your age and gender will certainly be accounted for, the most important of these variables is likely your age. No matter who you are, today is the youngest you will ever be for the rest of your life. If you are hoping to secure the lowest monthly life insurance premiums that you possibly can, then it will almost always benefit you to purchase a life insurance policy sooner, rather than later. Even if you can only afford a small life insurance policy in the status quo, it will typically be wiser to lock in low premiums while you are young and then upgrade or expand your policy once your monthly income has increased. Generally speaking, most life insurance policies will fall into one of two possible categories. A permanent life insurance policy will last you for your entire life and may also have a specific cash value attached to it. A term life insurance policy, on the other hand, will only last for a specific amount of time. Usually, the length of these terms is 10, 20, or 30 years. With some exceptions, term life insurance policies are typically much more affordable than permanent life insurance. Though you lose the benefits of life time coverage and an attachable cash value, term policies can often be purchased for less than $10 per month. Depending on your current financial situation, this may be an incredibly attractive offer. In order to make sure that your life insurance coverage is not only affordable in the status quo, but also remains affordable into the distant future, you may want to consider a policy that offers a guaranteed level premium. This means that even as you age or your health begins to deteriorate, you will still be able to pay the same monthly premiums throughout the duration of the policy’s life. The alternative is typically known as a variable premium policy which, though these policies make sense in certain situations, will usually be more expensive over time. Though, like most people, you probably want to decrease your marginal expenses this month to the greatest extent you possibly can, there are usually significant benefits attached to paying your premiums on an annual basis. In fact, many life insurance providers will allow you to save up to 8% if you are able to pay all of your premiums due for the year in one large bulk payment. Considering that an investment in the stock market that can guarantee an 8% ROI for the year is generally considered to be quite good, bulk payments may be one of the most underrated savings strategy throughout the life insurance industry. There are certainly many different types of life insurance policies that will not require you to take a medical exam but, generally speaking, having a willingness to take the exam will usually increase the amount of options that you currently have available. Medical exams do not simply determine whether you can qualify for a given policy—they will also influence the level of premiums you will be expected to pay each month. If you are healthier than other people who are applying for the same life insurance policy that you are, then the medical exam portion of the underwriting process will allow you to secure lower rates. In addition to your age, your personal health will have a tremendous amount of impact on the cost of a life insurance policy. Though there are certainly many components of your health that remain beyond your ability to control, there are some things you can control. Anything you can do to increase your life expectancy will ultimately help you save on your life insurance policy. If you are currently a smoker, making the choice to quit will help increase your life expectancy and thus decrease your monthly premiums. Losing weight (if you are overweight) can also help drive the monthly cost of a policy downward. Even if you are asked to pay high monthly premiums at first, many life insurance providers are willing to adjust your rates downward if you are able to improve your health throughout the policy’s lifetime. The life insurance industry can often feel quite overwhelming. With so many different moving pieces involved, it can be difficult for you to know exactly where to begin your search for a policy. However, contrary to popular belief, saving on life insurance is something that is likely well within your reach. By keeping these simple, yet valuable, tips in mind, you can likely find a policy that works for you.